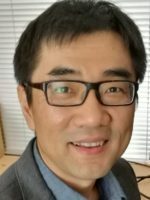 Dr Chen Wu is a senior research fellow at the International Centre for Radio Astronomy Research at UWA. Chen works in the field of data-intensive astronomy and is also leading the Machine Learning Applications for Physical Science research cluster within the Faculty of Engineering and Mathematical Sciences. Within the OFFshore ITRH he is working with Phillip Watson, Jeff Hansen and Wenhua Zhao on machine learning-based forecasting methods, as part of the Facility Longevity project stream.